A house in Florida City is just a house, until you start adding your own personal touches to make it home. We help with ensuring that your new house in feels just like home. With each step in the process of moving, our team of professional movers will take exceptional care of your valued possessions. From your delicate pieces of art to your kid’s favorite “blanky”, every item is delivered to your new door exactly as it was left in your old house. You always hear stories about how difficult and challenging a relocation can be. However, we are here to tell you that it does not have to be so. With the help of Orange Movers Miami, you won’t have to worry about the common tasks of relocation. What makes us so confident? 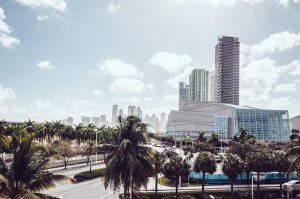 It’s simple really – with the accumulated experience and knowledge of our Florida City movers, you will be able to enjoy your move to South Florida. It is no coincidence that our business is regarded as the best among relocation companies in Florida. So, all you have to do is contact us and get your free estimate. Enjoy a secure move to Florida City with the help of experienced relocation experts. People say that as long as you do good business, your reputation will grow accordingly. And this is state of mind of our professional local movers in Miami. We believe that each move, no matter how small or big, is unique and deserves the same amount of devotion from our moving crews. This is why we strive to always go the extra mile for our customers and demonstrate to them how important their move is to us. And it is with this principle that our Florida City movers have become so well-known in the South Miami area. Orange Movers Miami has a clear understanding of the current economy and the financial capabilities of our clients. With this in mind, we always look to accommodate your budget as much as possible. Once you contact us, we will take our time to explore your relocation requirements and provide you with the best price possible. We are always open for negotiations and will look to meet you half-way if there are certain aspects of the move you would prefer to do on your own. This way, you can even make possible a larger investment in the purchase of an affordable home Florida. Nobody really wants to hire professionals without any prior experience in their field of expertise. All in One Moving understands this, which is why we stand behind the capabilities of our expert movers Miami. Something that you can come to expect from our Florida City movers is extensive knowledge and expertise within the moving industry. From packing to transportation and unloading, we will make sure that your move is covered from beginning to end. No matter how knowledgeable or capable you are, it does not give you the right to mistreat clients. Our Florida City movers are trained to work alongside the customer and provide them with the best moving solutions in accordance with their wishes. We believe that a relocation is a great decision that holds the promise of a new beginning and a better life. So, we make it our goal that our customers are happy with the moving services they received at the end of the day. Moving should be a positive experience, and our moving and storage company are here to make it so. What can you find in Florida City? Explore the rich and beautiful expanse of the Everglades once you move into your Florida City home. Florida is famous for its wonderful attractions. On the top of the list is the famous Florida Everglades. 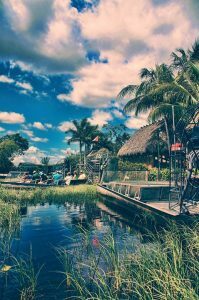 If you are searching for the ideal combination of wildlife, native trees, and plants, you will definitely find it in the Everglades. To explore it is an adventure in itself. There are a number of activities that one can do while visiting this nature park. One can go canoeing, kayaking, trekking, bird-watching, and many more. 9 eco-system haven that you can experience through various organized tours. If you are into shopping, then Florida City will not fail to satiate that urge to spend. There are a number of outlets and stores located in open malls. As one would expect, the design of the malls matches the surrounding tropical environment. And if you are a bit tired from all that shopping, you can stop by at cafes and restaurants to get your fill and an energy boost. You can also visit various museums and art galleries in the city. If you want to relax and just absorb that tropical feel and soak in the warm rays of the sun, there are plenty of parks. There are numerous hotels, inns, and chalets that you can use for resting once you’re done exploring for the day. Traveling in and out of the city will not be a problem. Miami International Airport is quite near and can be easily accessed from Florida City. Why our particular Florida City relocation services? 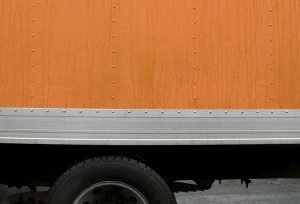 Orange Movers Miami is a company with a long-standing history in the moving industry. During the course of that history, we have accumulated not only the experienced manpower qualified to handle all types of moves, but we have also established a high level of customer satisfaction. And this is something we always aim to fulfill as a priority. When you consider everything, Orange Movers Miami is the only logical choice for Florida City movers that can assist you. We do this through top-quality Florida moving and storage services. In that spirit, we provide both local and long distance relocation services, residential as well as commercial moves. Each move we conduct is covered from start to end – from careful planning, packing and loading to transportation and unpacking. And in addition to that, we also offer short and long-term storage units for rent. So, if you truly want to have a fulfilled move with all your bases covered, contact us and schedule your relocation at your convenience. The rustic Florida City landscape is a serene setting for raising a family. Ensure your move is equally as serene by enabling Orange Movers to take charge. From the moment we arrive you will find a crew of friendly professionals, dedicated to making your new home transition an easy one. We get all your stuff packed up and shipped to your new address, without any of the fuss you might normally expect. We have successfully made commercial moving our expertise, no matter the type or size. Call Orange Movers if you need a commercial relocation in Florida City and discover the benefit of a professional move. You get to worry about your daily operations, while our pros stick to the business of getting your company situated in its new spot. You can stop worrying about moving that glass topped table. Orange Movers has moved hundreds of valuables that other movers may call difficult. Not even the heaviest grand piano or invaluable heirlooms is too much for us to handle. If an object is especially important to you, you can rest assured that getting it to your new home will be our priority. Don’t be duped by Southern Florida moving companies who reel you in with false promises and rock bottom prices. The only thing they’ll deliver on time is more headaches. We are upfront with our prices, and what is included in your moving package, so you know exactly what it is you are paying for. 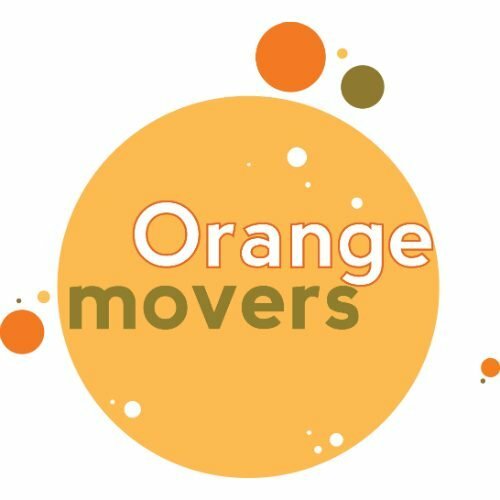 With Orange Movers you know from the start that you are getting an exceptional full service move in or from Florida City for a fraction of what it is worth. When you book a local move with Orange Movers, you get much more than a drive across town. We provide you with ten free boxes to get started packing, and a month free in our secure storage facility. Orange Movers also takes over the logistics, helping you in getting those boxes packed and loaded aboard. The real value however comes from a professional and courteous staff, who will go to great lengths to ensure that your move is a pleasant one. If you’re out of space in your home or office, Orange Movers has the solution. We provide space for homes and business who have outgrown their britches both for the short term and the long haul. Our storage solution is a state of the art facility that is environmentally controlled and cleaned, monitored around the clock by professional security staff. What matters to you is important to us, so trust that we will safeguard whatever you need for as long as you want. What was once a popular moving option in Florida City has quickly faded. If you are thinking about a moving yourself, you should think again. These temporary storage units on your own property leave your belongings unprotected. Why put your possessions at risk of being ruined or lost, when Orange Movers can do it all in a day, for practically the same cost. When it comes to bringing your items home, a full service move, without the ugly portable storage units is your safest bet. We are likely the friendliest moving company in Southern Florida, as well as the most efficient. From the first time we speak to the time we wave you goodbye at your new door, you will be surrounded by warm and outgoing professionals. Service with a smile goes a long way when you are dealing with the stress of moving.